Back in the days of pre-planning for cruising life, Brian and I became members of the Seven Seas Cruising Association (SSCA). 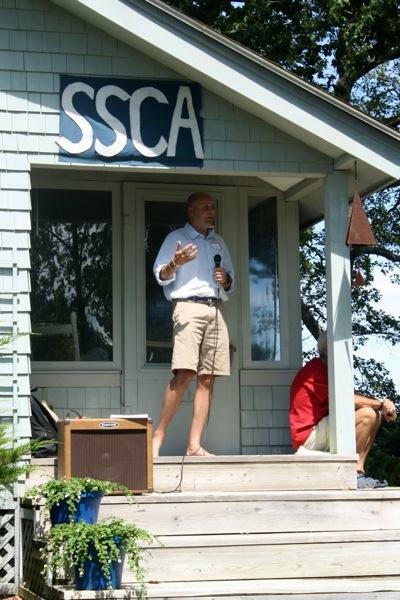 At that time, the SSCA had assured me that cruising communities did exist. We’d read through monthly bulletins “ooo-ing” and “aahh-ing” about exotic destinations throughout the world. When we began cruising, the SSCA provided a link through which to access a cruising community when we had questions, sought assistance, or simply wanted to socialize with people who could empathize with our situation. We’d look for the SSCA burgee in anchorages and often dinghy over to say hello. Now that we are living aboard, we’ve joined the ranks of the SSCA cruisers. We can now answer questions, provide assistance, or offer a friendly conversation over cocktails. This year for the first time we attended an SSCA Gam in order to mingle with our peers. 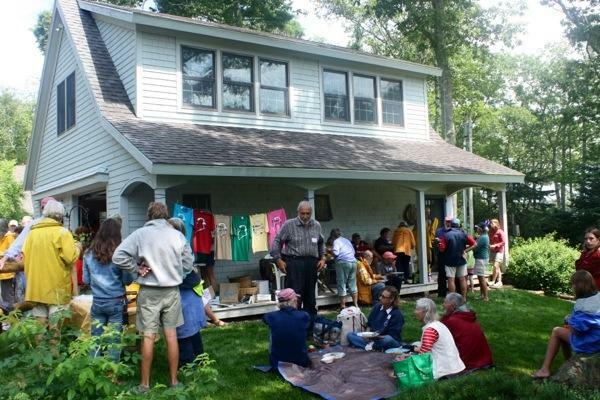 Our Islesboro hosts (fellow SSCA members) shared their beautiful home and property with us as we joined roughly 60 other members for the event. This was the largest pot-luck I’d ever attended! I’m not a fan of pot-luck; having always been a bit of a picky eater I survive pot-lucks by eating a hearty breakfast. So I contributed my signature chocolate chip cookies and then sampled the wine while Brian chowed down on every entree imaginable. Not only was there an eclectic mix of food, there was also certainly an intriguing mix of cruisers. Several had circumnavigated, many were avid racers, all were full-time or part-time livaboards. Here was a gold mine of knowledge, experience, and fascinating stories! Brian and I are typically on the young end of the spectrum when we gather with cruisers. Here was no exception, we easily had 15 years on the seemingly younger attendees. We schmoozed easily with the 50-60 somethings only this time was a bit different than our previous interactions. This time we’d met others who were just starting out, having recently retired, and they were eager to learn of our experiences. We were eager to share! We also couldn’t resist picking the brains of those well traveled cruisers who continue to inspire us. They’ve been there, done that and blazed a trail for our curiosity to follow. The day’s highlight was guest speaker, Rob Snyder, who represented the Island Institute. Rob held a captive audience while he presented a brief history as well as current issues pertaining to island communities in Maine. He and his colleague, a physical oceanographer, work with Maine’s island communities and collaborate with island communities throughout the world to ensure that this way of life may continue successfully. It had been a beautiful day at Islesboro and Brian and I look forward to meeting our old friends (pun intended) and new friends out on the water! 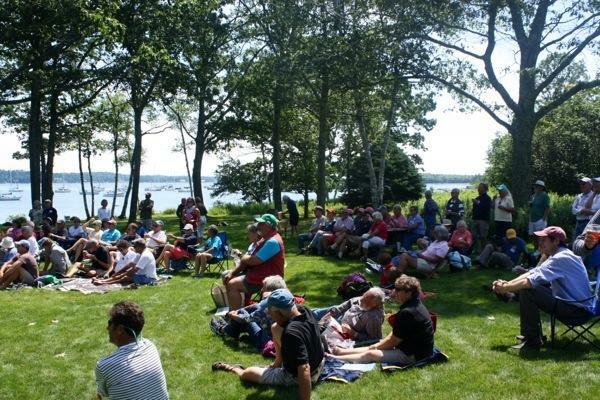 This entry was posted in Uncategorized and tagged broad cove, cruisers gam, gam, gilkey harbor, grindel point, islesboro gam, islesboro maine, Seven Seas Cruising Association, SSCA, ssca gam by stephanie. Bookmark the permalink. Yeah, and we thought we’d be the babies at the Gam… We’ve got socks older than you! ; ) From your new old friends!